“It is truly a district that has been mismanaged for over a decade,” he said. As Vitti convened a meeting with top advisers, he learned that the Domino’s contract was not actually for parties. It was for a special pizza that Domino’s had created for schools called a “smart slice” that uses whole wheat flour and lower amounts of fat and salt to give kids a healthy alternative to less-popular lunch offerings. RELATED: Nikolai Vitti loves a challenge. He has one at Detroit Public Schools. 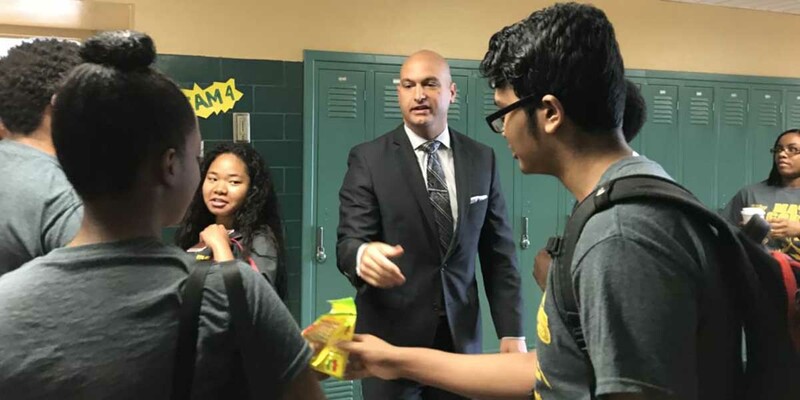 But Vitti, the 40-year-old father of four who took over the Detroit district last spring, has promised not just to improve the district’s 106 schools. He said he can transform them. “We’re going to make this the best urban school district in the country,” he said in speeches and interviews. If he’s going to do that, he said — or if he’s at least going to make some progress in that direction — he has to look for ideas in places like pizza contracts, where other leaders might see little potential for change. But those are just the problems you can see from the outside. 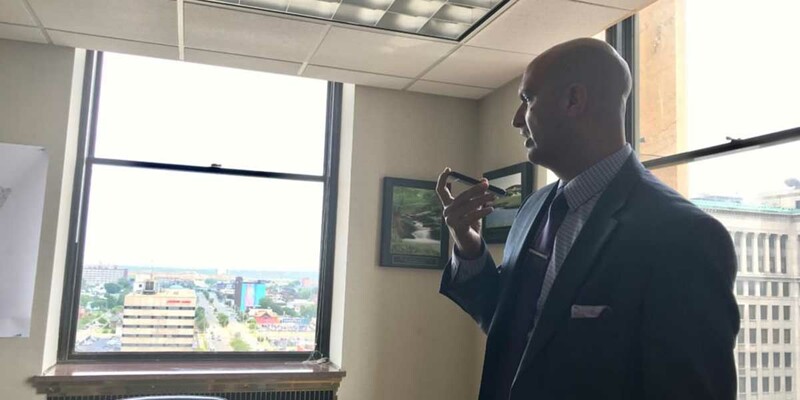 Vitti, a native of Detroit suburb Dearborn Heights, understood them well before he left his job in May running the schools in Jacksonville, Florida, to take over the school district. 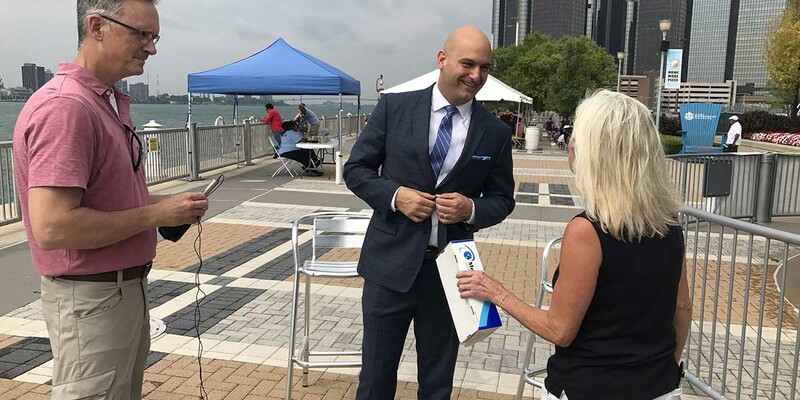 Since arriving in Detroit last spring, Vitti said he’s seen “pockets of excellence” in schools where devoted teachers have managed to weather years of turmoil and decline. What makes it all so infuriating, he said, is that the men from whom he inherited the district were supposed to be financial experts. As an educator who worked as a teacher in North Carolina and New York City before entering a PhD program at Harvard University that trained urban superintendents, Vitti said he’s not surprised that the emergency managers didn’t get the academics right. But you’d think they’d have figured out the nuts and bolts, he said. The teacher eventually gets an offer from another district and takes that job instead, he said. The governor’s office and State Treasury Department, which appointed and oversaw the emergency managers, did not respond to requests for comment. 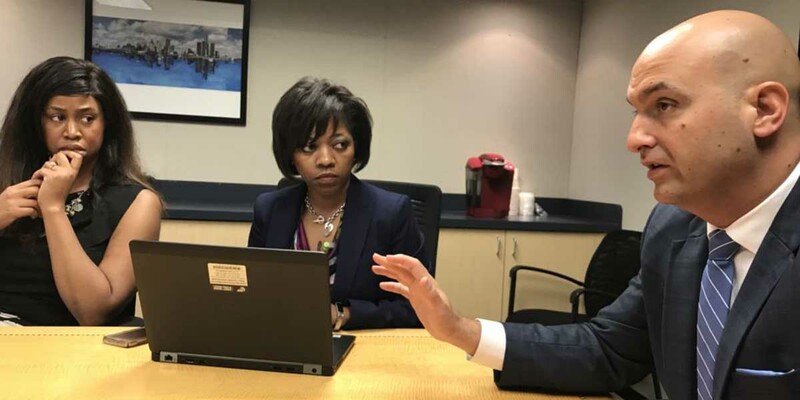 Cleaning up systems is essential if Vitti wants to take the district in a different direction, said Robert Peterkin, the Harvard professor who, for 20 years, led the urban superintendents program where Vitti earned his doctorate. “The idea of the school superintendent as the person who can fix it all is at least as old as the 20th century,” said David Cohen, a professor of educational policy at Harvard University and the University of Michigan. Yet Vitti said he plans to put nearly every waking hour he has into the effort. He sleeps just three hours most nights, sometimes cranking out emails until 3 a.m. before catching some winks until dawn, he said. Other nights, he’ll go to bed early, around midnight, and wake up at 3 a.m. to respond to emails. 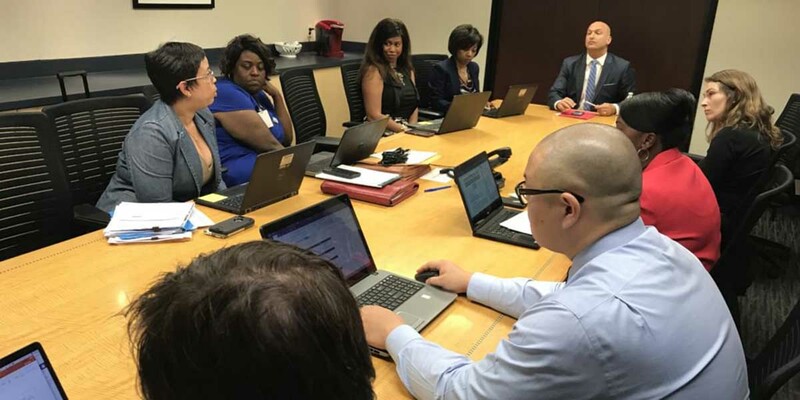 “We have to manage [the district] and transform the district at the same time and that requires a different work ethic and energy level,” he said. Vitti doesn’t expect his aides or advisers to put in those kinds of hours, but he has little patience for anyone who isn’t moving with as much urgency as he is. He stacked his team with people he trusts to keep up the pace, firing dozens of longtime school officials and technocrats and replacing many with people he knew from his days working in Florida. And he’s paying attention to what students learn, something that he said has been neglected. He’s pushing a district-wide curriculum audit to make sure Detroit kids are getting an education that meets national standards. And he wants a teacher evaluation system, based on research, that supports teachers and helps them hone their craft. Good luck, Doctor Vitti and Team; I wish you well! Remember though that you "eat an elephant" one bite at a time. The issues and politics surrounding most urban school districts are so systemic that burn-out, unfortunately, becomes the norm. Having those honest conversations and getting rid of the obvious impediments are great starts. Kudos for beginning the journey and best wishes for the finish line! I am a retired educator that knows Mr. Vitti is on to something. I've been in many failing schools and districts. No one knows what anyone else is doing in the large poverty districts. There is no accountability at Central Office and little or no results. Children in these districts need the exposure to outside enrichment that children from middle class parents get. Every penny wasted should be identified and used for the purpose of bringing these students an interesting curriculum with relevancy. This does NOT mean purchasing curriculum and testing materials from outside sources and then forcing them on the students and staff. The students in the large poverty districts are testing guinia pigs for big business. A lot of money is made continually testing these students. There is no time for teaching much of anything. Our children need hands on interconnected learning. Harrah for museums, music, the arts and field trips. Extend the school day with relevancy and physical activity. Good luck to the new Superintendent. He sounds committed and that's a major part of the battle. Heaven knows that what we have been doing hasn't been working. Vitti is the real deal! The article description is accurate. 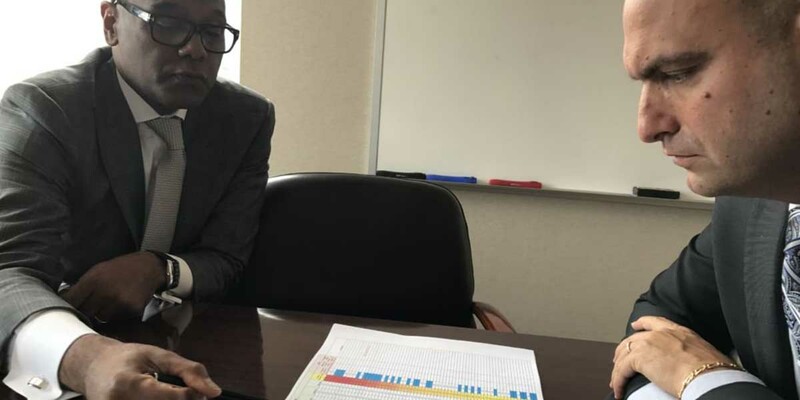 He has done a credible job identifying the current status of the district and describes the problems, challenges and strengths of the district accurately. He has a powerfully competent staff with expertise needed in every key area. And he embraces innovation, not just his own ideas but those of the teachers, rank and file staff, parents, businesses and community. We should do everything possible to support the plans for DPSCD!